Jupiter starts 2018 in your relationship sector, a continuation from October of 2017 that lasts until November 2018, and brings his expansive and beneficial energy to your relationships. You can meet new people, enjoy spending time with loved ones, and improve your relationships, especially as the year begins with Mars in your relationship sector in January. It might be a little more pressing in October when Venus is retrograde (appearing to move backward) in your relationship sector, and you may have a harder time getting along with others and experience issues come up in your relationships. It can be good to reconnect with people from the past, but they may not stick around too long past the retrograde. Mercury retrogrades in your relationship sector the first week of December, and you may have some communication issues with the people in your life at that time, so work on listening more. When Jupiter leaves your relationship sector in early November, he’ll move into your intimacy sector, and you can work on growing closer with the people in your life and having stronger emotional bonds with the people you care about. Mars is in this sector late January through mid-March, so you can get started early in the year and strive to connect. Mercury retrogrades in this sector early in Jupiter’s stay here though, for the second half of November, and you may have difficulty feeling as connected as you want to be, or feel too connected and need more space. The February 15th solar eclipse occurs in your career and goals sector, and this can be a great time to work harder with your career, make strides with your goals, and set new goals. You can be more enthusiastic about your path, can embark on a new direction, and can take advantage of opportunities to achieve your goals and make things happen. All of your hard and smart work can culminate with the July 27th lunar eclipse in your career and goals sector, and you can be rewarded for hard and smart work, and experience a little success. Mars is in your career and goals sector starting mid-May, and through June, you can feel more hard-working, disciplined, and focused, but you may want to work hard to make things happen or set yourself up for later since Mars will retrograde in this sector late June through mid-August. At that point, you may need to reassess, go back over your long-term plans, and you may experience setbacks if you haven’t been doing things the right way or aren’t really passionate about what you’re doing. Mars goes back into your career and goals sector mid-September to mid-November, and you can focus on getting back on track and making greater strides. Venus retrogrades in your work sector the first week of November, and this may be a time when you’re taking on too much work, or you want to avoid work completely, feeling that you need a break. If you’ve been working yourself hard throughout the year, a short break might be the right idea. A lunar eclipse occurs in your home and family sector on January 31st, and this may be a time when you’re much more concerned with matters at home or with family. You can focus more on the issues that need to be addressed and problems that need to be worked on, and you can work to try and eliminate the difficulties. It can be a good time to let go of issues with family or at home, and work to form a better relationship with family or have a better home base. A solar eclipse occurs in this sector August 11th, and that can be a great time for enthusiasm and excitement at home or with family. You can plan a family gathering, make improvements to your home, move, or give support to your loved ones. The problem time for the year may be late July through mid-August when Mercury is retrograde in your home and family sector. You can experience little problems come up at home, like leaking faucets and sparking outlets, or issues with your family, particular miscommunications and fights. Work to be more expressive with your emotions in a clear, non-combative way, and listen to your family more. The July 12th solar eclipse occurs in one of your sectors of the mind, and you can come up with new ideas, feel more enthusiastic about the ideas you have, and can be more expressive and open with what’s on your mind. Mars is in the other sector ruling the mind mid-March through mid-May, and this can be a good time for big ideas and bold plans. Mars retrogrades in this sector the second half of August though, so you may need to re-work your plans and tweak your ideas to be more realistic. Mars stays in this sector to mid-September, so you can work on making the most of opportunities to pursue your ideas, especially if they expand your life in new ways. With Pluto and Saturn in this sector, expansion is important, but you need to do so in a responsible way. Uranus is at the end of his time in the sector ruling your subconscious mind, staying here until mid-May and coming back in November to the end of the year, and this has been a time for you to work on your subconscious issues, motivations, and desires, but it unconventional ways, and to open yourself up spiritually. That can start wrapping up now, but you may need to work on some of the final issues or blocks when Mercury is retrograde in this sector the end of March to Mid-April. You have one really big astrological event occurring in 2018, Taurus, as Uranus begins to tour your sign. Uranus spends a long time in one sign, usually 7-8 years, so this can be a big period that starts in 2018 for change for you. Uranus is the planet of change, and you can focus on making some changes in your life or with yourself, shaking things up or shifting your perspective. You can feel it in a subtle way as soon as Uranus enters Taurus in mid-May (and remains until early November), though those of you born April 24th and earlier may be the ones really getting the brunt of the change energy in 2018. 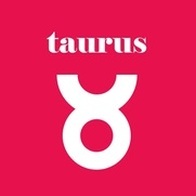 But Taurus gets some of it no matter what, so start thinking about the changes you’d like to make to improve your life and work on your plans so you can make the most of this time. Neptune also remains in your friendship sector in 2018, and you can be more compassionate and understanding with your friends, do more to help others, and feel more charitable. This position also helps you to be more open to the change that Uranus wants, and your intuition can help guide you when you’re uncertain of where to focus. Your ruler, Venus, is also retrograde October to mid-November in 2018, so this may be a period when you not only deal with issues in your relationships (in October) and with work (first half of November), but also feel off in a subtle way throughout the retrograde. Give yourself more time, space, and get some extra rest. This can be a good month to work on balancing your life out, and focusing on the areas of life that you haven’t had time for lately. You can benefit when you feel balanced right now, and your relationships may end up being the focus, requiring more of your attention. You can be more active with the steps you take you make improvements instead of sitting back. You may benefit from getting help from a mutually-beneficial partnership professionally, and this can lead you to new opportunities, new goals, or progress. You can also take time to do research this month, and you can keep digging into something until you find everything you need to find to figure out what your plan should be moving forward. Watch for getting stuck in sour moods during the first half of the month, and try to have a better view of the big picture. You may feel you do during the second half of the month, but you may struggle anyway with some issues from the past, a secret, or just feeling rundown and needing a break from everything in general. The past may still feel haunting during the first half of the month, but once you start coming out from under the baggage, you can start to see the bright side of life and focus on the new opportunities you have. You can think big and want to be optimistic, and you can feel more confident in what you can do. You can start to feel change in the air right now, but it’s best if you start working on your plans for change rather than be impulsive and jump into anything. You want to be smart about the changes you make, and responsible with what you do, so take time to think it through and be certain of your plans first. You may question the direction you’re going in and path you’re on this month, and feel that maybe you need to give up on your goals and focus on something else, but that likely isn’t the right thing for now. Try to focus on maybe taking up a old goal again and giving it a second shot, and keeping the new stuff for when the energy is better for it. The foundation of your life may feel pretty shaky this month, and you may wonder what you should do about it so you don’t feel so off. Work on strengthening your internal self first, and then work on strengthening the foundation for your life. It should be strong and reliable so you can move forward with confidence. You may have a hard time with the bigger picture this month, and can be overly subjective and stuck in your feelings, but then are too detached at times. Work on taking care of matters at home and with family, and think more about big ideas from the past and see if you can do something new with them now. You can feel a little more positive with a new moon in your love sector on the 9th, and you can focus on the people you love, share the love you feel, and be more affectionate and generous. You can work on creative projects and ventures, and make more time for your hobbies and to goof off and play. Your relationships may give you some trouble this month, so you may focus more on your goals and career instead. Though it may be that your relationships give you trouble because you’re not giving them enough attention, so make sure that isn’t the case. Work on being better balanced with work and with love. You may have a hard time with issues you gold deep inside of yourself this month, especially during the second half, and may need to bring something out into the light that you’re not comfortable with, but have to anyway. It might be uncomfortable, but it can be good to do to help open you up for change. While other people may give you some trouble during the first week of the month, you can spend extra time with friends in December, and enjoy their company. You can focus on change as well, and think more about the changes you want to work on as the year winds down and a new year is looming.